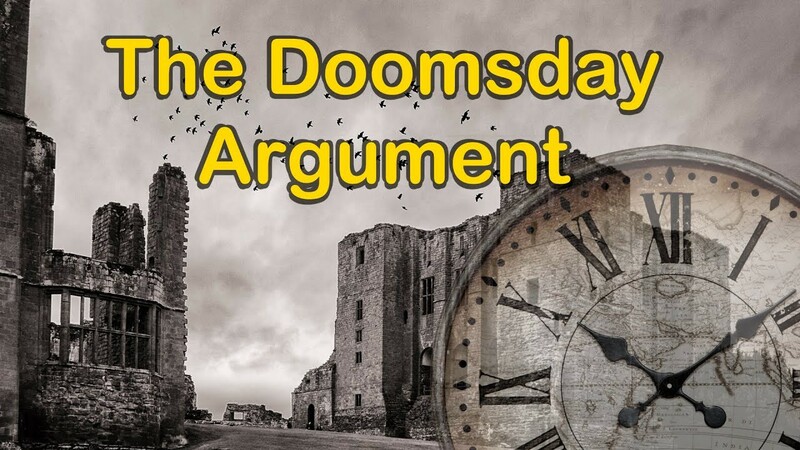 Could declining interest to the Doomsday Argument explain the Doomsday Argument? I expected that the doubling time of the number of people who know about DA is around 5–10 years, and thus the end will happen around 2030, which is in accordance with my estimations of dangerous AI timing and some other predictions. The data is noisy, but it looks like the number of searchers declines from the average of 16 a month in 2008 to 7 in 2017. Wikipedia views data even from 2015 (no early data available) also shows a decline around 2 times between 2015 and 2018. 1989–1994: 14 articles (hand counted), 30 mentions of DA. It shows that the peak of interest to DA by scientists was around 2000, which should not be surprising, as at the time the idea was relatively new. The growth of mentions could be explained by large “historical introductions” in other articles. However, the number of DA-related articles is now growing again. Hypothesis 2: If there will be no more scientists who are interested in DA, the reference class of those who know about DA will end without end of the world. However, a closer examination of the Google Scholar data doesn’t support this second hypothesis either: there is a steady influx of new scientists who try to refute or reanalyze the DA. Moreover, the growth of “mentions” shows that the number of scientists who know about DA is growing, but it is growing not exponentially, but more like logarithmically. Internet access and general growth of the population, as well as public interest in science, could fuel the growth of the number of those who know about DA. On the other hand, lower number of Google searchers means that public interest to the topic has declined, maybe as there are less mainstream media publications which could fuel such interest or doomsday media paranoia, like in 2012, which could easily be observed as a spike of searchers around 2012. The data could be explained if we suggest that fewer members of the public but more scientists now know about DA — and the question is interesting not from a sociological perspective, but in order to understand how the reference class of DA-aware observers is changing. It seems that the correct reference class will be the scientists, not public, like the fact that I am writing this post (and had long, detailed interest to DA before) makes me closer to the scientists’ reference class. For scientists, we have two sub-classes: those who know about DA, and those who try to make new contributions by writing articles. The difference is that one is growing and the other is not. Both hypotheses are false: the hypothesis that the interest to DA is exponentially growing, and the one that the number of those who understand DA is exponentially declining: so, there is no end-very-soon, nor DA’s easy refutation. However, using the reference class of those who know about DA still implies that the end is likely in 21 century. There are currently around 100 scientific articles about DA, and with 50 per cent probability (according to the Gott’s version of DA) there will be no more than total of 200 (which at current speed will happen in around 30 years, or 2049) and with 95 per cent — no more than 1000 articles (which will happen at current speed of publishing at 270 years). But such an end could mean not a global catastrophe but complete loss of interest in DA.